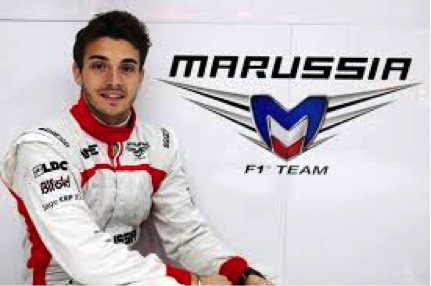 Born in Nice, France, Jules Bianchi is a name that is finding its mention in endless rounds of despair, memories and messages all amidst it’s longing in worldwide media. He is Formula One’s latest casualty and was one of the best young drivers on the grid. 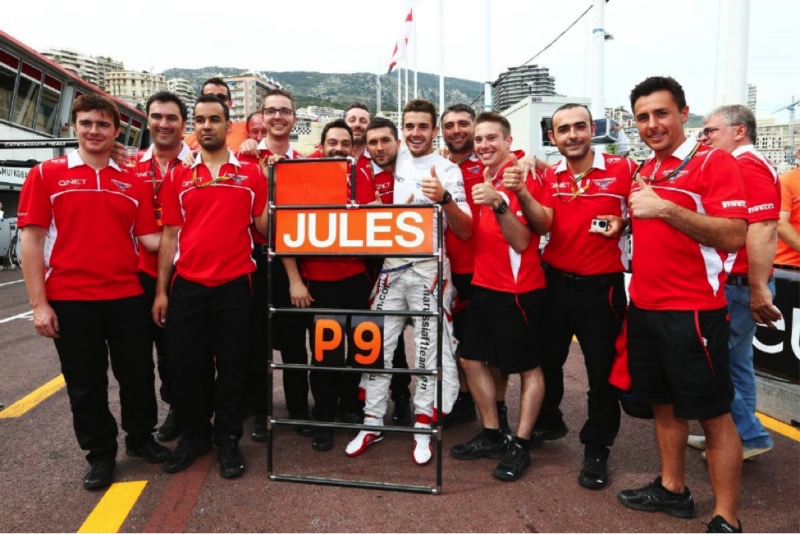 In a short stint in Formula One, Jules, the humble and soft mannered Frenchman made fans, contemporaries and luminaries stand up and take notice of his great talent. He passed away recently, failing to recover from the serious head injuries he sustained during the Japanese Grand Prix of 2014, held on October 5th, 2014 at the Suzuka circuit in Japan, the fifteenth round of the F1 season. In the tectonic world of motor racing where destinies are made and get crumbled within a span of seconds, change is a constant. You win a race, you rule a circuit and then you are only as good as your last outing. Setting the fastest time at the practice lap or for qualifying doesn’t guarantee you success as it is what you do on the race day, is what counts. Maintaining his naturally pleasant mannerisms and that ever polite smile on the cherubic face, there came a new name to one of F1’s newest racing outfits on the race track. 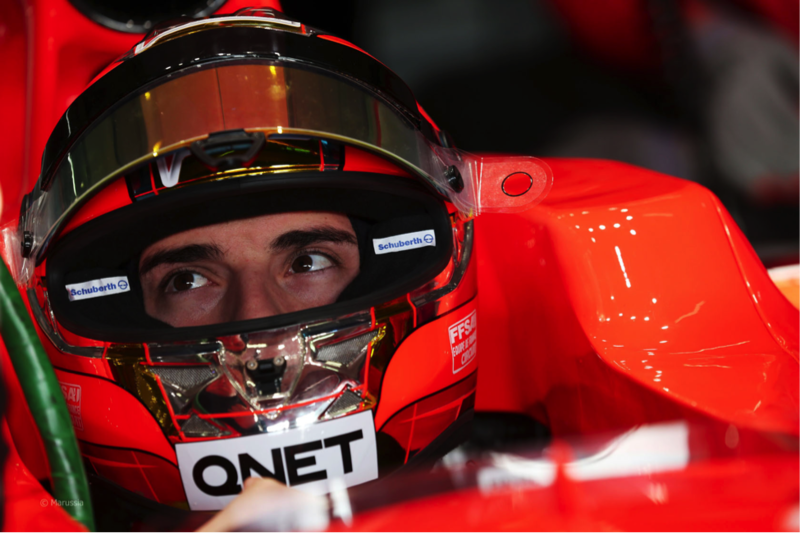 Jules Bianchi, who had already carved a name for himself in the lesser followed but highly competitive versions of motor racing such as GP2, Formula Renault 3.5, and Formula Three, had arrived for motor racing’s grandest stage: Formula One. It was here that Jules Bianchi, the hitherto lesser known Frenchman was to set his car roaring lap times and make a name for himself to make his lovely parents proud. 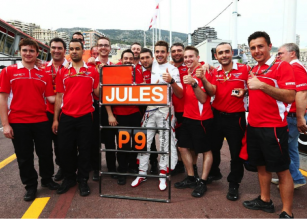 And he did manage to do all of that in a career that sadly ran incredibly short, with Jules’ stint coming to an unwanted end in 2014, having taken its flight only as recently as the 2013 season. Jules who made his debut into the Anglo- Russian race outfit in season 2013 never played the part we all expect of a rookie. He was far mature, candid, calm and intense at the same time. While on the race track, his focus was undeterred and his confidence in his abilities never took a jolt, off the track he was the nicest guy you would know. 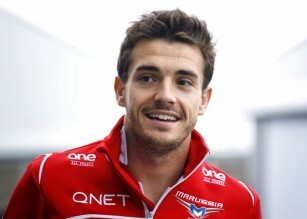 Jules’ family and friends confide that his sweet smile and softness confirm the notion that goodness and gentlemanly nature could still be expected from the very same guy who would be rough and competitive to the core out on the race track. 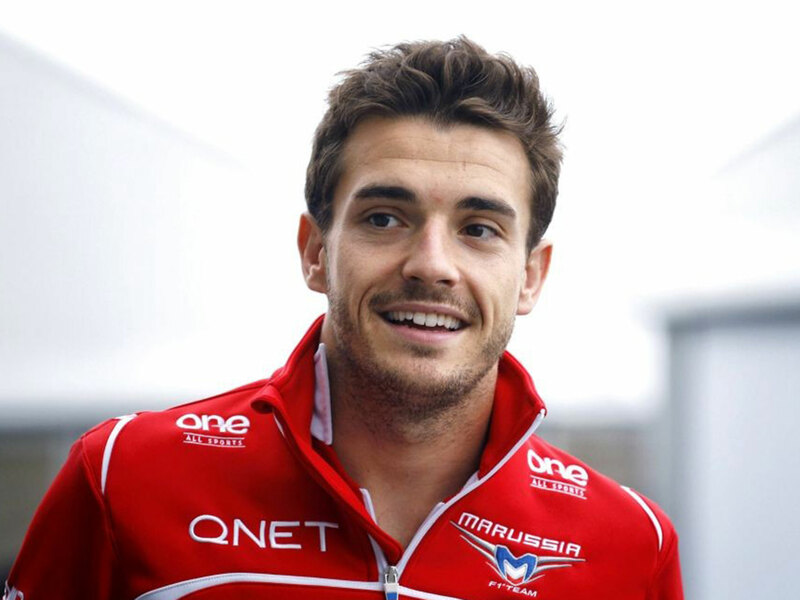 For the two seasons Jules competed in at Formula One for Team Marrusia, he was tipped for great success alongside other racing contemporaries such as Max Chilton, Daniel Ricciardo and Kamui Kobayashi. When car no.17, belonging to Team Marussia finished the most glamorous run of the Formula One season at Monte Carlo on the Monaco circuit, its rookie race driver Jules Bianchi, seemed just as unflustered as one would expect him to. At the same time the customary polite smile sitting atop that pretty face only added more cheer to the resounding applause coming in from the team’s cockpit at the garage. The reason was simple. This was the only time in the team’s history that it had scored racing points and had managed to put its name against a tally of teams that finished with points earned of the race. The fast paced Bianchi was responsible for the sterling show grabbing 2 out of the maximum 25 points that a driver can seize from the race finish, ending on 9th position. Since then, no other driver has gone on to score more points for the team. 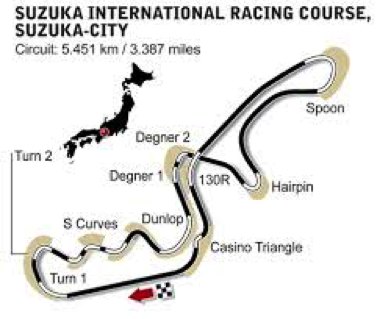 The Dunlop curve, situated at turn 7 of the circuit was just as slippery and vulnerable as the remainder of the high action packed circuit’s areas. To compete in dry conditions is one task and to tread along a difficult and unruly terrain of the racing surface under heavy rains, is quite another. It was here in the curve’s outside area that German Adrian Sutil’s Sauber came crashing running out of the race track on lap 42. 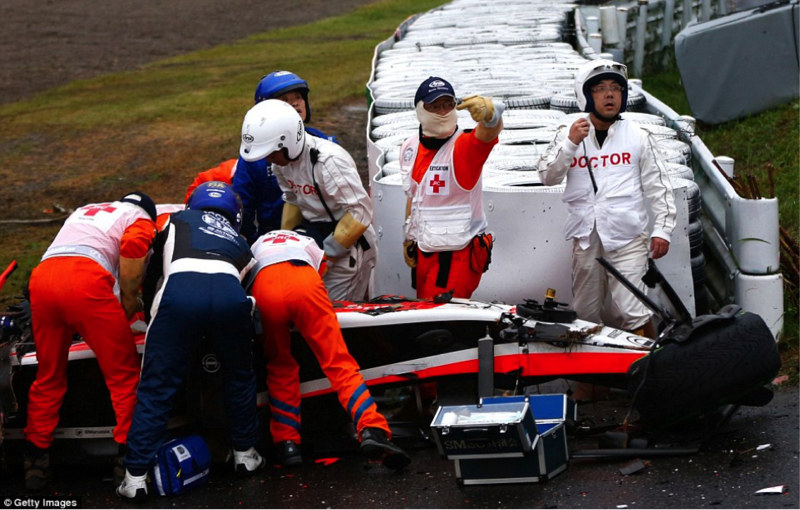 Race marshals rushed to the scene to see if Sutil in a not so pretty looking Sauber was safe and sound. Luckily, Sutil made it outside the car without any serious concerns with the race still moving on. But, to clear the outside area of this curve where the Sauber came smashing, race Marshals had to run immediately to clean up the mess and, in turn clear the debris on the outer part of this track’s portion. Whilst the Marshalls were still at their task, out of nowhere did Bianchi’s Marussia came running, colliding with the Marshall’s crane. And that was that. 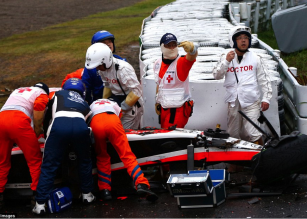 By the end of the 43rd lap, Jules Bianchi’s Marussia had completely failed to fend off its harrowing skid off the surface of the track and ended up ramming itself against that of the Marshal’s crane. Even at non racing speed the accident would have been no easy pushover. It was not a soft collision, and the actual impact of it sent shockwaves around the world whose echoes and cries reverberate in F1s jazziest parties to the safe havens where all fans, admirers and commentators of this pulsating form of motorsport hide their tears. 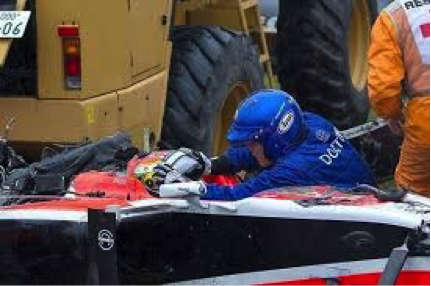 The high intensity impact of the Marussia’s crash carried sufficient force to reduce an already hapless Bianchi into a completely immovable zone, from which he neither had the time or the sense to take an evasive action. The size of the impact was too much for Jules’ nimble body to take, the reaction time almost zilch and the outcome too somber, painful and unwanted, for the highly talented driver’s family and fans to withstand or tolerate. Jules, who was immediately rushed to the nearest and safest medical facility around the Suzuka circuit slipt into a coma from which he would never recover. He would later pass away on July 17th, nine months after he slipped into the coma. The 53 lap long race is almost always packed in high octane action. The speedy circuit isn’t considered nearly as fatal as how it turned out to be on that gloomy, highly forgettable rain soaked October day that reduced one of F1’s nicest and most talented race driver into a vegetative state from which only death would be the escape. You need to be a clever driver who can maneuver the car in difficult situations that aren’t always a stranger on this 5.08 km long race track. Since the death of arguably Formula One’s greatest all time driver, Ayrton Senna, back in 1994 at Imola, Italy, a number of safety measures and technical advancements ensured that driver fatality would be a minimized risk or very nearly, a remote occurring. And one can say that F1 with its promise to endure danger albeit churning exciting outcomes has lived up to the great change in a convincing fashion. But, rains, thunderstorms and other ill fated outcomes are often inconceivable to the point of their impact on the race. 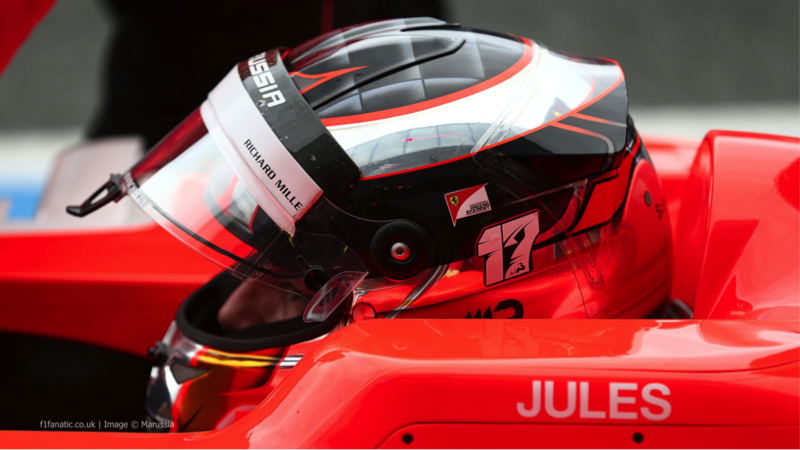 While it is indeed a tragic loss and one that shall be measured as monumental in terms of the grandness and rarity of the talent lost, one could still confide in private that if not for Jules, maybe death would have claimed some other, unprepared F1 star, if it had to come. But, Jules’s memory will linger on, forever. For it was his absolute commitment and sudden rise to the top echelons in the world of motor-racing backed by his insatiable appetite to better his performance in every race, that shall come to mind every time one would recount car no.17 and its heroic escapades on the race track.